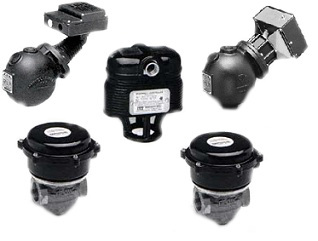 Water Feeders: Float operated valve to add water to boiler or tank on drop of level below NWL. Low Water Cutoff (LWCO): Controls boiler feedwater levels and provides burner cutout functions. See Also: National Board of Boiler & Pressure Vessel Inspectors explain importance of LWCO. Switches: Included with water feeder or LWCO, provides burner cutout, feedwater pump control, or proportional level control. We also provide replacement gaskets, floats, switches, and other parts for all McDonnell & Miller products. To request more information or to order McDonnell & Miller parts and controls, please call the D.B. Johnsen Company Parts Department between 8:00 AM - 4:30 PM EST at 1-800-442-1242 or click here to email us.